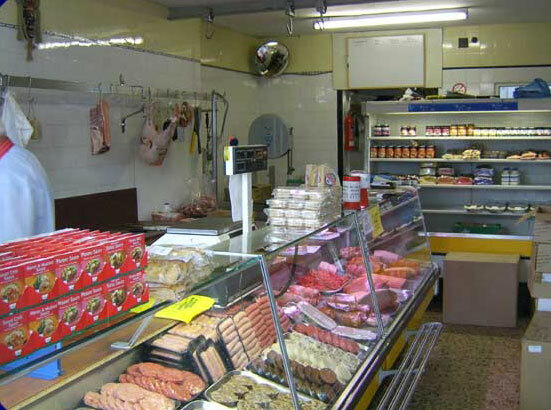 Started in 1931, MacLeod and MacLeod have served the island communities of Lewis and Harris with the finest quality meat products, and are the longest established butcher within Stornoway. 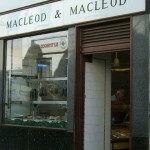 The tight knit team of professional butchers adhere to the strict quality guidelines set by the founders Kenny and Donald MacLeod. 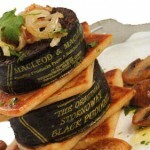 MacLeod and MacLeod have successfully built upon the reputation established by the MacLeod family to become a premier producer of Stornoway Black Pudding throughout Scotland. 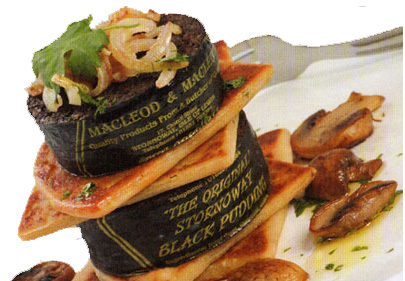 MacLeod and MacLeod 'Original' Stornoway black Pudding maintains the subtle flavours that only comes from blending the finest Scottish oatmeal with the freshest onion, piquant spices and beef suet, married together with fresh ox blood, to produce a pudding that people the people from Lewis and Harris have come to enjoy for nearly eighty years. 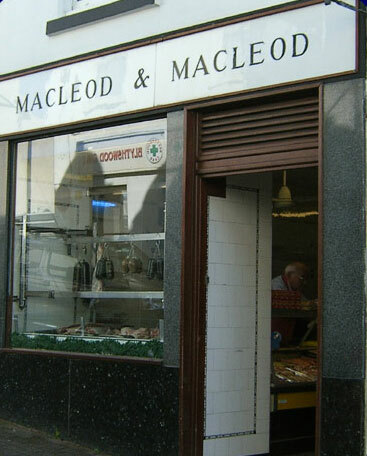 MacLeod and MacLeod also serve up the finest lamb, beef, pork and free range chicken products in the Western Isles for produce sourced in the Island and North of Scotland. 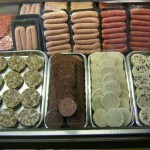 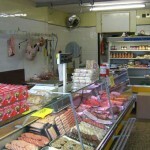 From the finest rolled sirloin, to the leanest lamb cutlet and from the best popeseye steak to chicken stir fry, made with juicy strips of breast blended with fresh onion, peppers, chilli, ginger and bean sprouts laced with lemon and coriander sauce, MacLeod and MacLeod strive to ensure they have a product for any meal time. 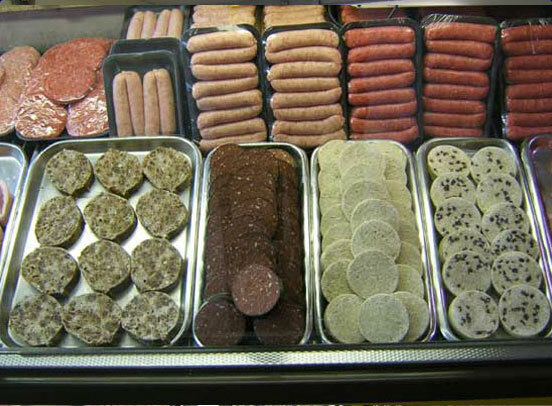 New to the MacLeod and MacLeod range is our own hand cured bacon, a product developed instore by Alex Ross, AJ sweet cured bacon has become a firm favourite with customers, served up with inshop steak sausages and slice of the finest black pudding, a hearty start to the rigours of the day.